a PDF file of that article. Silvestri Corporation is proud to have been recognized with some of the most prestigious awards in the building industry. 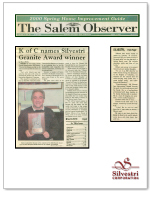 Silvestri has won over 59 awards, including the best Model Award from the SAM award council in 1998. 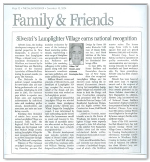 In addition, Silvestri Corporation received one of the National Home Builders Association's Highest Awards for their recent project, Dunlap Woods in Bedford, N.H. Chosen from over 900 entries, Dunlap Woods scored highest in the category of Single Family Homes $200,000-$350,000 for the entire Northeast Region. A panel of home building experts from around the country judged all entries. "It's a tremendous honor to be recognized nationally. We owe it to a long-standing company tradition. We start with great home designs that are functional in today's lifestyles and use the best building materials available," said Bill Silvestri, of Silvestri Corp.
"Family of the Month" Regional Award (1995), from the Knights of Columbus Statue Dedication by Saint Joseph's Parish, Salem, NH, honoring the Silvestri Family. 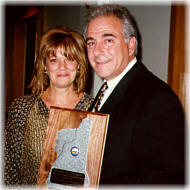 Granite Award for Patriotism, Leadership, and Humanitarianism (2000), presented by New Hampshire State Council of the Knights of Columbus, awarded to Bill Silvestri, President. 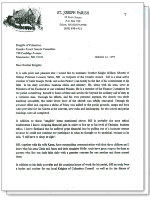 "Knight of the Year" (1994), presented by Knights of Columbus Council (#4442), Salem, NH, to Bill Silvestri, President. 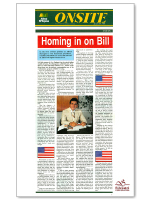 National Sales and Marketing Awards (1999), Regional Award, Best Homes in the $200,000-$350,000 category range. Sales & Marketing Council of NH: Silver Award (1999), Single Family Detached, in the $200,000-$250,000 category for Watercrest Preserve, Londonderry, NH. Sales & Marketing Council of NH Award (1998), Best Model, Single Family Homes in the $200,000-$350,000 category for Dunlap Woods, Bedford, NH. Sales & Marketing Council of NH Awards (1998), One (1) Gold and three (3) Silver Awards. Sales & Marketing Council of NH (1997), One (1) Gold and three (3) Silver Awards. Sales & Marketing Council of NH (1989), Seventeen (17) Gold and Silver Awards. Sales & Marketing Council of NH (1988), New Hampshire Builder of the Year. Twenty-six (26) Gold and Silver Awards for various developments. 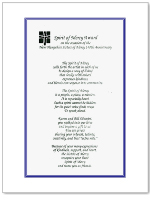 Spirit of Mercy Award (1998), from the NH Sisters of Mercy, Windham, NH. 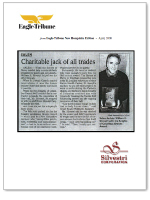 State Honoree for The Blue Chip Enterprise Initiative (1999), National Competition.